If you’ll be in the Salt Lake City area during August 10-12, please consider spending some time at the Sunstone Symposium. The preliminary program can be found here. IMO, the lineup of this year’s program looks quite good! CAN BLOGGING HELP MORMON FEMINISM? The appearance of a popular new blog, “Feminist Mormon Housewives,” signals the rise of a new wave of feminism within mainstream Mormonism as another generation of Mormon women confronts the problems of gender inequity within the Church. How is blogging—with its capacity to reach large numbers of people without requiring anything of them but Internet access, along with its ability to provide both the security of anonymity and the power of the personal voice—affecting the possibilities of feminism within the LDS Church? Will open Internet communication help Mormon women be more aware of the problems of gender inequity in the Church and enable them to meet these challenges without being forced to choose between Mormonism and feminism? I will be speaking in the Blogging session, and would love to see you there, so please come up and introduce yourselves! Also, on Thursday and Friday I’ll be at the Olio restaurant (on-site at the Sheraton) for the “Meet & Greet” lunch. It would be so fun to get a group of X2-ers to join in! I’m jealous that you get to be there! I would love to go- but generally only get to Utah at Christmas time. I looked at the program and it looked like they’ve got some fascinating stuff lined up. I hope you let us know how the presentation goes. Sounds like a great session. Wish I could be there! Bad timing with the baby…. 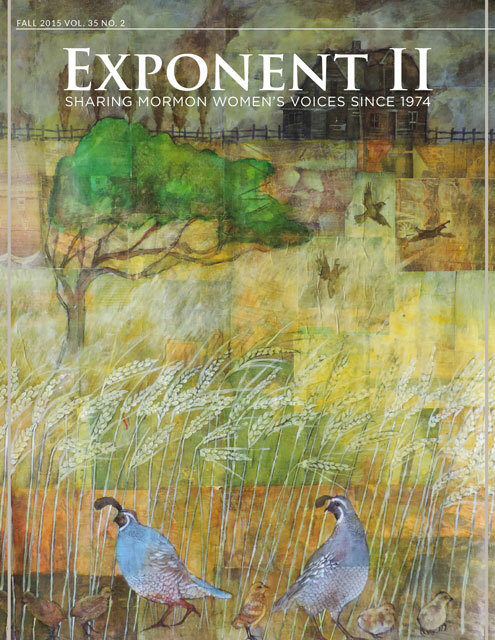 Looking forward to it … love the idea of meeting other Exponent II-ers face to face.